The story of Otto Schwarz reads like a mounted Odyssey. As the clouds of the Second World War gathered over his native Switzerland, young Otto Schwarz was competing at Olympic level in dressage. Forced by circumstances to don the uniform of a Swiss cavalry officer, Otto patrolled the French-Swiss border on horseback for nearly five years. Those mounted adventures gave the dashing Captain Schwarz a taste for horse travel which redirected his equestrian life. Over the course of the next sixty years, Otto Schwarz went on to journey 48,000 kilometres (30,000 miles) on horseback across five continents, making him the most well-travelled Long Rider of the 20th century. The man literally rode in a host of places including Japan, Europe, Africa and North & South America. 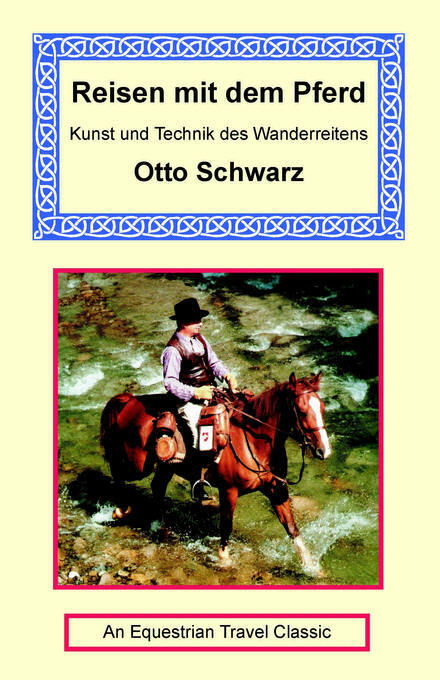 The amazing story of Otto's many equestrian adventures is available for the first time in more than twenty years in this re-issued version of his classic book, "Reisen mit dem Pferd." In addition, the famous Long Rider offers his readers a detailed supplement on how to prepare and undertake an extended equestrian journey. This important book, (written in German), belongs on the bookshelf of every student of equestrian travel. Click here to go to the Wanderreiter Klassiker page.